Musical Ecologies continues Thursday March 10th with San Francisco-based saxophonist John Ingle. 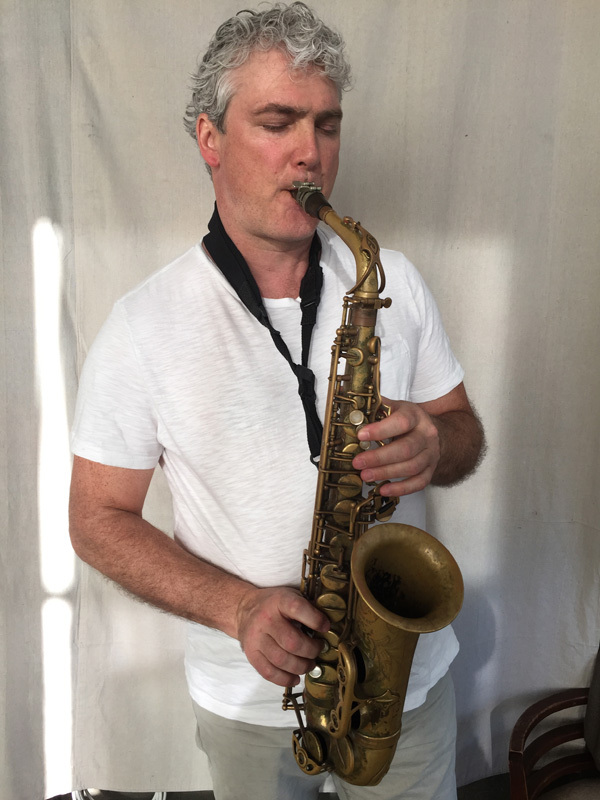 Known for his unique tone and a virtuosic command of extended techniques, Ingle will perform a solo set of saxophone improvisations interspersed with conversation and stories. Drawing from his long career on the margins of new music, the evening will reflect on his wide-ranging sonic experiences spanning field hollers and pre-blues fife and drum encounters, the ivy-laced walls of high modernism, Deep-South/Tibetan throat-singing hootenannies, and the underground sounds of the Bay Area improv scene. The evening will begin with a conversation hosted by series curator Dan Joseph, and a reception will follow. San Francisco-based saxophonist John Ingle is an improviser, interpreter, composer, and conductor of new music. Known for his unique tone and wide dynamic range, he is an active improviser, interpreter and composer of new music. A founding member of the ensemble sfSound, he has enjoyed a fifteen-year creative role with the group as saxophonist and, more recently, conductor. He is also active in various collaborative projects including duos with percussionist Kjell Nordeson and with composer and hammer dulcimer player Dan Joseph He has been an Artist In Residence at Headlands Center for the Arts in Sausalito, CA and has received grants from Meet the Composer, the American Composers Forum and New Langton Arts. He has a Bachelor of Music degree in Woodwind Performance from the University of Memphis, where he studied with Allen Rippe, and a Master of Arts in Composition from Mills College, where he studied with Pauline Oliveros, Alvin Curran and Glen Spearman. John is also an active open-water swimmer at San Francisco's venerable Dolphin Club. Comments closed — Trackbacks closed RSS 2.0 feed for these comments This entry (permalink) was posted on Wednesday, February 17, 2016, at 10:16 pm by Dan Joseph. Filed in press release.